The idea of a simple, cheap and widely available device that could boost brain function sounds too good to be true. Yet promising results in the lab with emerging ‘brain stimulation’ techniques, though still very preliminary, have prompted Oxford neuroscientists to team up with leading ethicists at the University to consider the issues the new technology could raise. They spoke to Radio 4’s Today programme this morning. 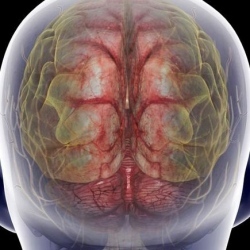 Recent research in Oxford and elsewhere has shown that one type of brain stimulation in particular, called transcranial direct current stimulation or TDCS, can be used to improve language and maths abilities, memory, problem solving, attention, even movement. Critically, this is not just helping to restore function in those with impaired abilities. TDCS can be used to enhance healthy people’s mental capacities. Indeed, most of the research so far has been carried out in healthy adults. TDCS uses electrodes placed on the outside of the head to pass tiny currents across regions of the brain for 20 minutes or so. The currents of 1–2 mA make it easier for neurons in these brain regions to fire. It is thought that this enhances the making and strengthening of connections involved in learning and memory. The technique is painless, all indications at the moment are that it is safe, and the effects can last over the long term. Dr Roi Cohen Kadosh, who has carried out brain stimulation studies at the Department of Experimental Psychology, very definitely has a vision for how TDCS could be used in the future: ‘I can see a time when people plug a simple device into an iPad so that their brain is stimulated when they are doing their homework, learning French or taking up the piano,’ he says.